Tinnitus, a condition where individuals hear persistent phantom sounds, is more prevalent than you might realize. The condition affects up to 50 million Americans, or 20 percent of the population. Tinnitus sounds can manifest differently depending on the individual—buzzing, whooshing, ringing, for example—and the severity can range from mild to debilitating. There are proven tinnitus treatment options, including sound or behavioral therapy, but some are unable to achieve complete rehabilitation from these methods. Fortunately, recent studies conducted in gene therapy have shown promise and may even lead to a cure for tinnitus and hearing loss. While there are a number of potential causes of tinnitus, the majority of tinnitus cases are linked to hearing loss. Hearing health professionals theorize that as you lose the ability to hear certain frequencies, the brain compensates by increasing sound sensitivity or creating phantom sounds. Studies in gene therapy have attempted to regenerate cells so the body can restore the hair cells responsible for transmitting sound to the brain. Through the regeneration of sensory receptors, an individual’s hearing can potentially normalize, thereby eliminating the presence of unwanted sounds. 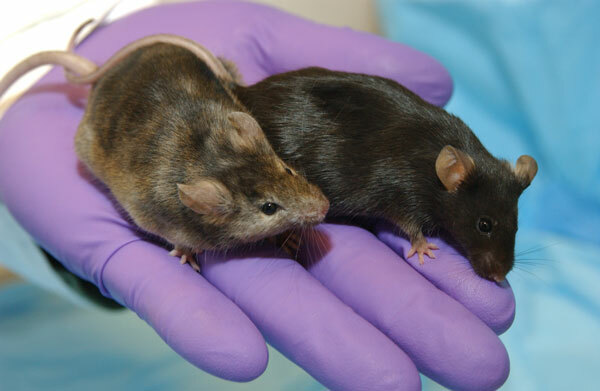 This method has proven successful in treating other animals, primarily guinea pigs and mice. Recently, researchers have begun doing pilot tests on human subjects. In 2014, a Denver native was among the first to receive the gene therapy treatment. Though the research is ongoing, the patient did tell The New York Times he was “hearing a new sound or hearing sound differently” than he had before. Since the initial reports in early 2015, little has been shared about the progress of the pilot test. Researchers are still optimistic, however, and some are hoping for successful human treatments by 2025. If the scientific community is able to accomplish this feat, it would have a significant impact on the medical field and hearing health industry. Fortunately, there are many other successful options for tinnitus treatment. San Diego is equipped with premiere hearing health professionals who specialize in the diagnosis and treatment of tinnitus and hearing loss. To schedule a consultation with an audiologist, we welcome you to contact our team at our Hillcrest office at (619) 298-8546 or in Clairemont at (858) 279-3277.